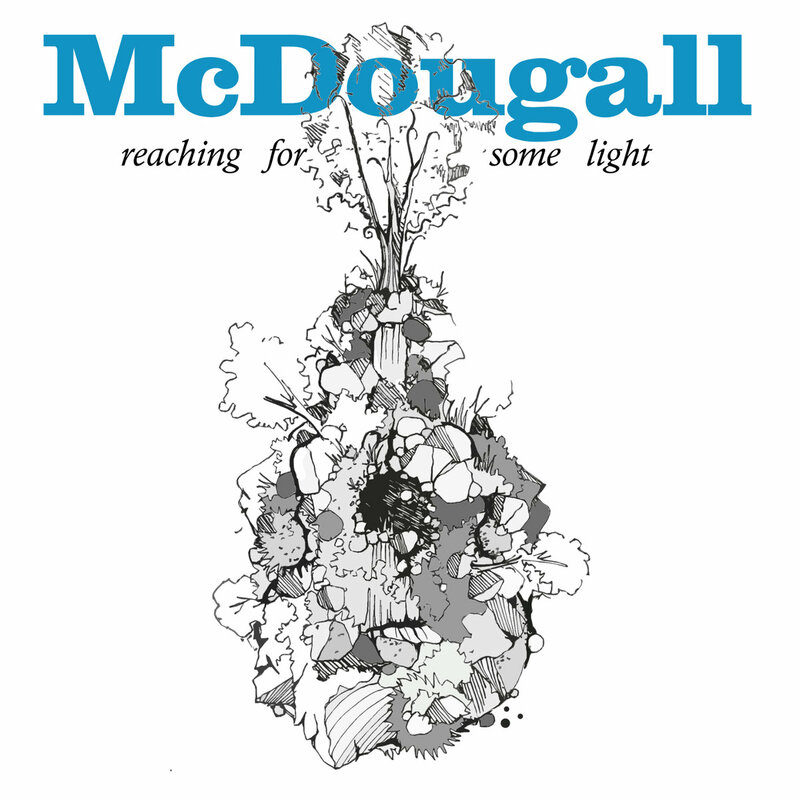 McDougall is one of those guys who I’ve always liked and who’s hung out on the periphery of my regular rotation due to some reason or another. He’s one of those artists that I’ve really and truly enjoyed in smaller doses but never really inspired a binge of listening to an album over and over again with the exception of his project Brothers of the Last Watch with John Johnson of Hillstomp (I still binge play that one). Reaching for Some Light changes that completely as I’ve been listening to it for three days solid at this point. I don’t know if it’s the subject matter, the full band sound, the lack of instrumental tracks, or something else entirely but it really speaks to me on a level that goes beyond liking it enough to pull it out every once in a while and giving it a listen. This is not a record that would collect dust in my collection. There is a definite departure from the folksy roots that attracted some to Scott McDougall and I think that the stories being painted here are perfectly suited for the style of music that was chosen as a canvas. There’s a thread of hope running through this music that the world needs right now and that’s why I chose today to write about this album. There are times when things seem awfully bleak and those time seem to be coming more frequently. That could be because I’m getting older, because of a 24 hour news cycle in an always connected society, or because things are actually worse. I don’t care what the root cause might be, the fact is that hope is getting harder to hold on to. Music is one of the most important things in my life and I rely on it to provide many things and right now hope is one of those things and Reaching for Some Light provides a spark that’s easy to stoke in to something more. Now don’t get me wrong, this isn’t a happy album per se, it’s got it’s darker moments for sure but that thread of hope is commodity that’s important these days. 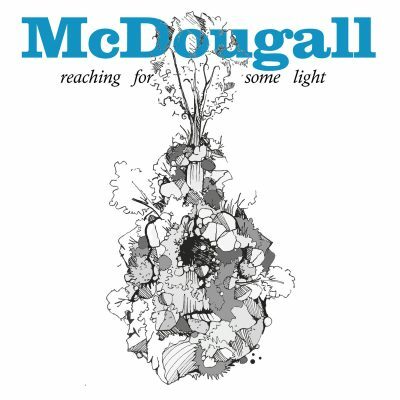 As far as the music itself goes McDougall played most of the instruments and while there are some very fleshed out tracks there are still some stripped down compositions. I feel like the mindfulness that went in to the instrumentation of each track shows just how much of himself Scott poured in to making this album. While the instrumentation changes as necessary this is still a very cohesive album that’s easy to listen to all the way through. When it’s over it leaves me with both a desire for more while at the same time a sense of completeness. That may sound contradictory but what I want is more like from McDougall and at the same time I can’t help but feel that this installment, this record, is a complete work with nothing feeling left unsaid. The lyrics feel like Scott is reaching inside himself and sharing more reality with us. In a complete change in what I usually find attractive, the blood and guts style of so many of my favorites, there is a richness here in discovering musings on things that are good in life. Hope, love, and even faith all play a role in these songs which seems very real. Every time I listen to this one it feels like I’m being reminded that no matter how dark things look, how bleak our prospects seem, that I’ve got it pretty damn good and I should look at my life and be grateful for what I have and actually take the time to think on those things. I don’t know about you but I need a reminder of that more often than not. I really think that the production, instrumentation, lyrics, track order, and everything else all play together in such a perfect manner that Reaching for Some Light can be nothing less than Essential Listening and I hope you feel the same. There are times when the title describes everyone I know and maybe this will help someone find that sliver of light they need to step over whatever life is putting in their path. You can grab this one on Bandcamp along with his other albums. He has another side project as well, but I can’t remember the band name. Regardless, I love his music. Nice review! Scott McDougall, could you list your side projects so we can all enjoy them? I missed you having one aside from Brothers of the Last Watch! I guess my research skills were on the fritz. Sure, McDougall side projects include Brothers Of The Last Watch (rock and roll), Marching Suns (folk-metal), and if you want to dig a little deeper, check out Glassell Park 3 (punk-blues). More to come….